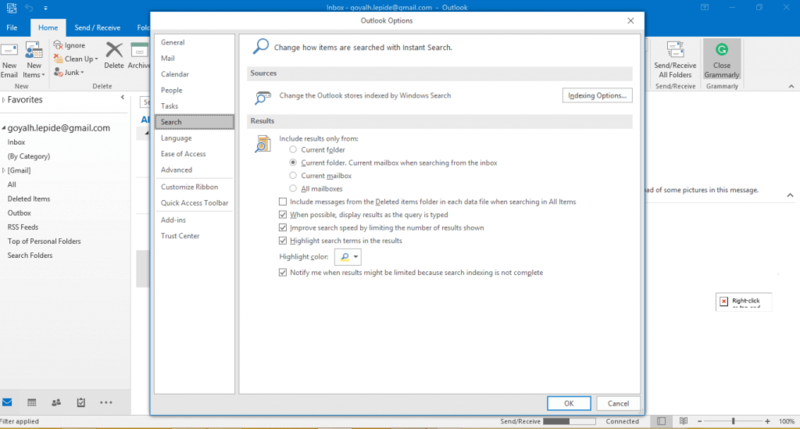 How to fix “Instant Search does not display any results” in Outlook? In this, the Instant Search displays the results only partially. 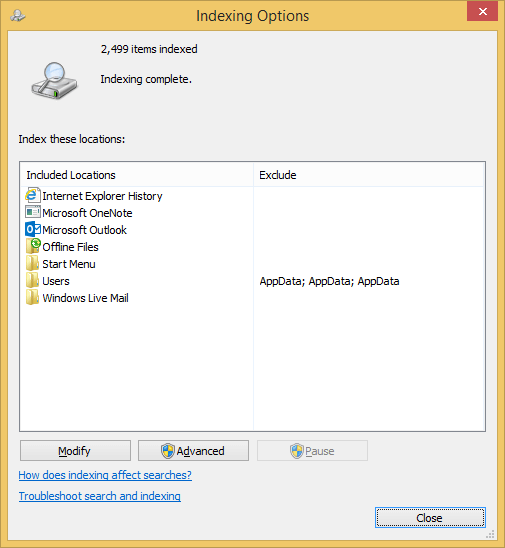 One reason behind Outlook search not working can be a problem in Window Indexing service. 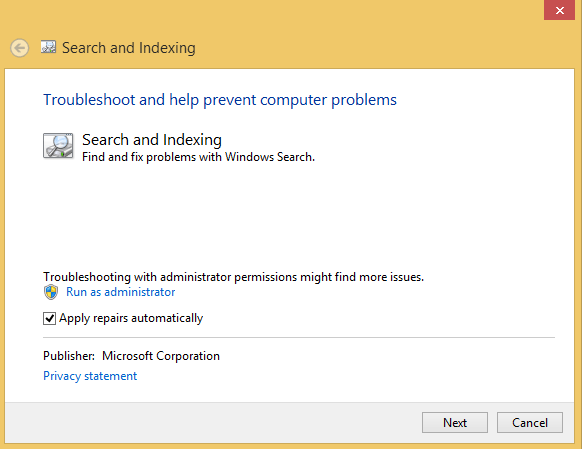 And to fix the search problem, you have to rebuild the “Index” created by the indexing service. Now, select the “Advanced” option to rebuild the index. A window will display on your screen showing the “Rebuild” button. Click this button to start the rebuilding process. The rebuilding process can take several hours for the completion. So, it’s better to keep the system at rest until the rebuilding process is completed. Apart from rebuilding the index, some other alternatives are also available if you want to ignore the long process of rebuilding the index. 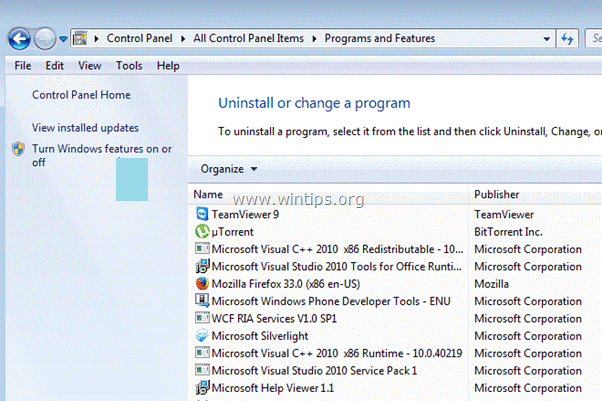 Go to Control Panel>>Programs and click on “Turn Windows features on or off” in the left pane of the screen. 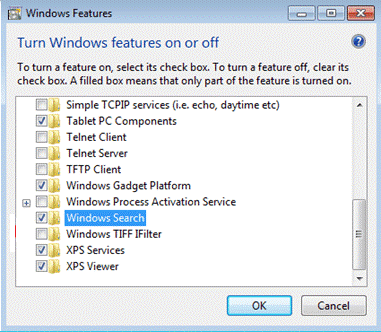 Now, deselect “Windows Search” option from the list and click “OK” to uninstall the Windows search option. Once the system reboot is done, you can enable this feature with the same process. 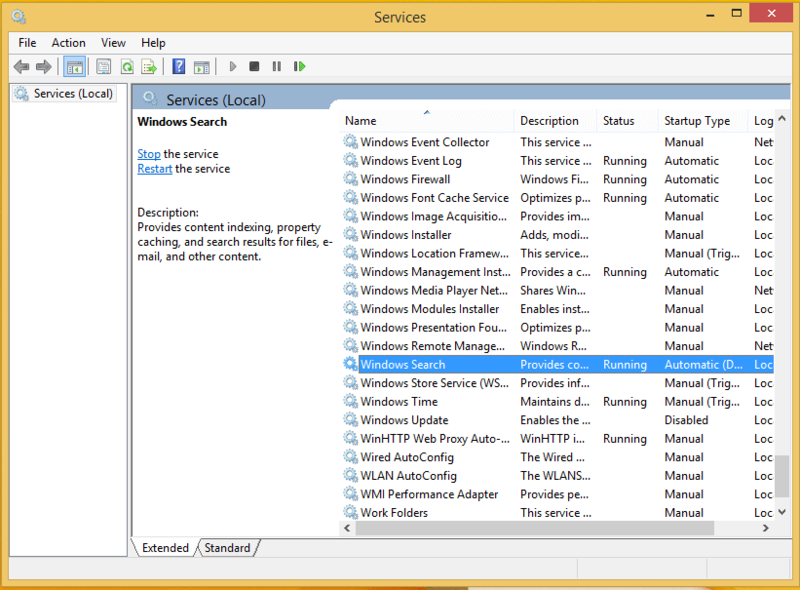 Scroll down to “Windows Search” in the displayed window and double-click on it. 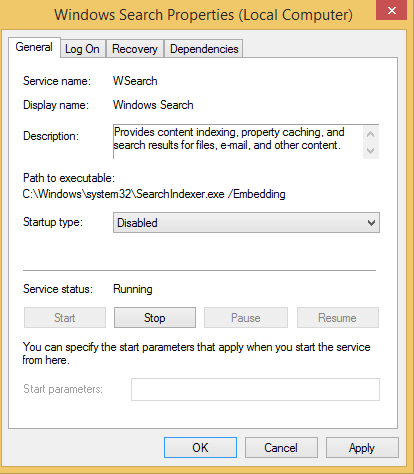 A window will be displayed on the screen, now find “Startup type:” and select “Disable.” Then click “Stop” to stop the service and click “Apply,” and then Restart the computer. 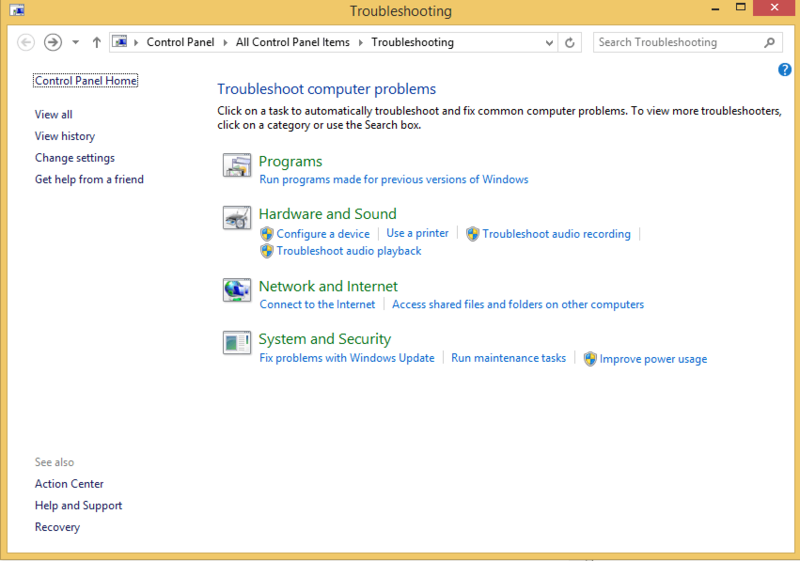 The “Window Search” option will be disabled from your PC. You can turn it on, by following the same steps. 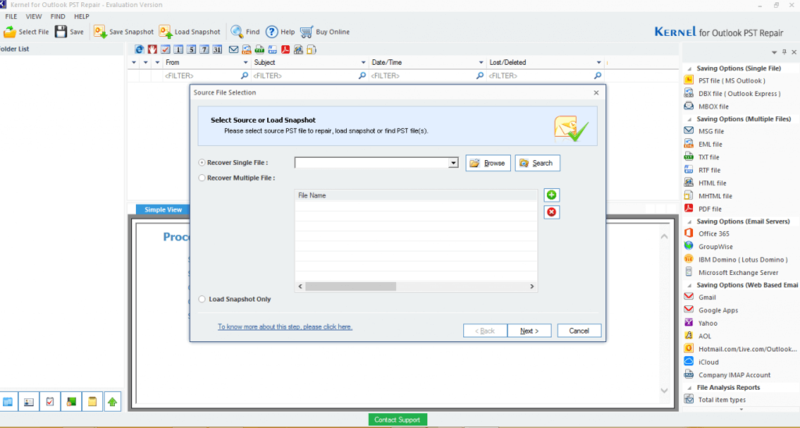 Launch Outlook and click the “File” option from the up left corner. Now, click Options>>Search>>Indexing options>>Modify>>Expand Microsoft Outlook. A list will be shown in Microsoft Outlook; you’ll have to make sure that the PST file or mailbox is displayed and marked on the list. And if it is not listed, then you’ll have to recreate your mail profile. 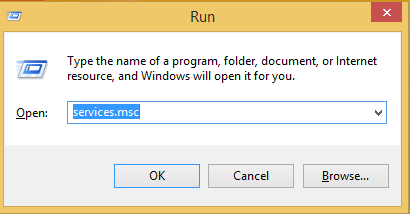 Launch Outlook and Click “File” option from the up-left corner. 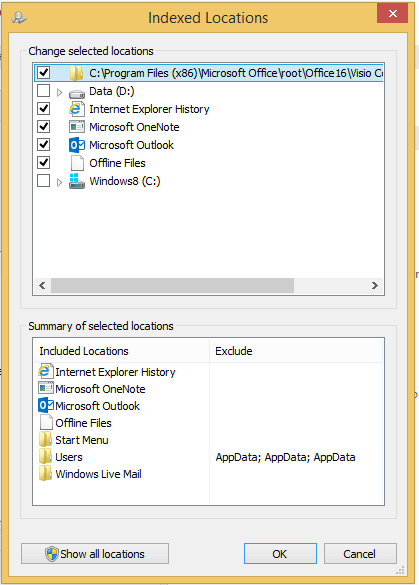 In the indexing option, you have to make sure that Outlook is selected because Outlook 2013 and 2016 doesn’t provide you the option to index specific mailboxes or PST files. So, you have to index the complete Outlook. If the Outlook is not displaying the correct results even after marking the PST file, it could be due to corruption in the PST file. In order to fix this, you have to repair your corrupted PST file. There are several methods to repair a PST file, but the simplest method is to use Kernel PST Repair Tool. This Outlook PST repair tool can help you repair any corrupted PST files. However, if the size of PST file or Mailbox is too big, then it can take some time for the indexing. 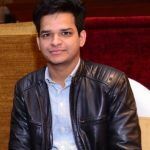 If it’s showing that the PST files and Mailboxes are indexed, then you’ll not face this problem again. Even after rebuilding the index, if the Instant Search does not display any results, then try restoring defaults. 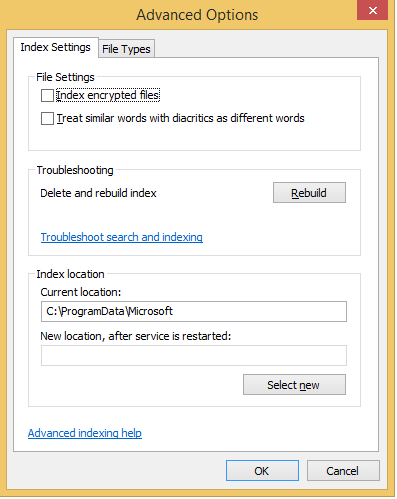 The difference between “Rebuild” and “Reset” is that apart from resetting all customize indexing settings, the reset method will also recreate the actual index files. Follow these steps to reset the Index. On the left pane of window screen, you’ll see “View All.” Click this button. A list of options will pop up, select “Search and Indexing” from it. Click “Next” and complete the process by following the on-screen instructions. The four methods mentioned above are proved to be very useful in solving “instant search does not display any results” error.